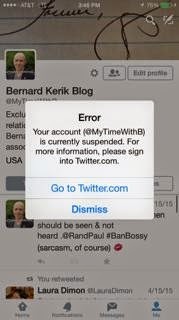 DoingTimeWithBernie.com: Why Is Bernard Kerik desperate to silence me? 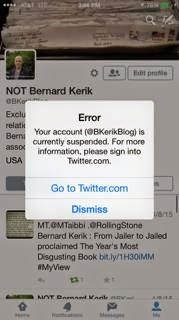 Why Is Bernard Kerik desperate to silence me? Since felon liar on probation Bernard Kerik manipulated $93000.00 from me from inside his prison walls and then took my work product, talking points, writing, editing and published it as his own, I've been attempting to tell my story. I'm entitled to have the world know the real Bernie Kerik who CONTINUES to lack a moral compass despite the embarrassment and shame of being a corrupt cop who got sent to prison. Well, I must be very effective in my communication because Bernard Kerik et al have been shutting down my twitter account faster than I can make them! Ha!